For the first time since 2005, UCF is heading to the NCAA Tournament. The Knights earned a No. 9 seed in the East Region and will take on VCU on Friday in Columbia. This is the Knights’ fifth all-time appearance in the NCAA Tournament, with the team previously qualifying in 1994, 1996, 2004 and 2005. This is the first time that UCF had made the tournament as an at-large bid. The Knights have never won a game in the tournament. 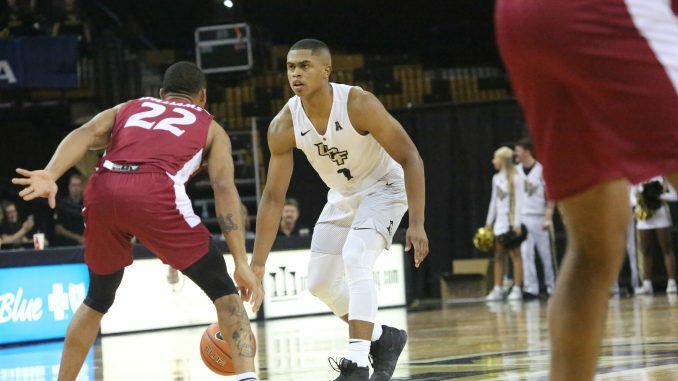 This will also mark UCF’s first postseason appearance since 2017, when the Knights made it to the NIT Final Four. The NCAA Tournament appearance is the culmination of three years of success under coach Johnny Dawkins. In the three seasons before he was hired, the Knights went just 37-54. Since taking over, Dawkins has led the team to a 66-33 record including two 20-win seasons.